The San Jose Museum of Quilts & Textiles is showcasing the exhibitions: Guns: Loaded Conversations and Generation of Change: A Movement Not a Moment with East Bay-based Social Justice Sewing Academy. The exhibitions are on view from April 22nd – July 15th at San Jose Museum of Quilts & Textiles. The San Jose Museum of Quilts & Textiles is proud to be joining forces with The Mayor’s office, multiple City Council Districts, San Jose Police Department, and Police Foundation to organize a unique gun buy-back program. Research shows that communities with fewer guns have less gun violence. Here’s how it works: In exchange for turning in a gun, each individual will receive cash AND a beautiful quilt. And here’s where your quilt making skills and quilt donation can help us make a difference in our community. Donate a new quilt and we’ll put it to good use. 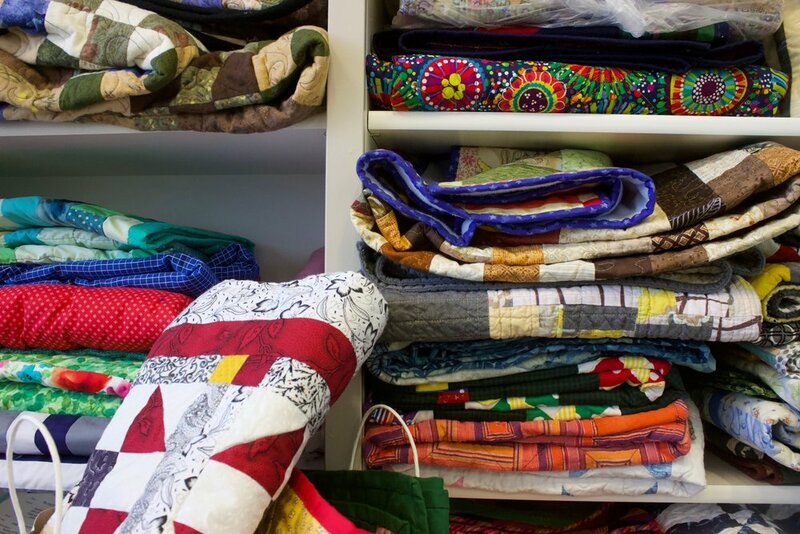 We’re looking to you create and donate quilts that we may exchange for guns. Here are all the quilts we’ve received so far! What types of quilts are you looking for? Quilts should be functional and provide comfort to their new owner. Quilts can be any color and any size – from lap size to king size. How do I donate a quilt? 1. Fill out this form and e-mail it to us: donatequilts@sjquiltmuseum.org. 2. Print the form and put it inside the box you’ll be shipping to us. 3. Quilts need to arrive to the museum by November 15, 2018. We might use images of your quilt on our website and in our promotional materials.